Function is first with this Long Distance Skirt. 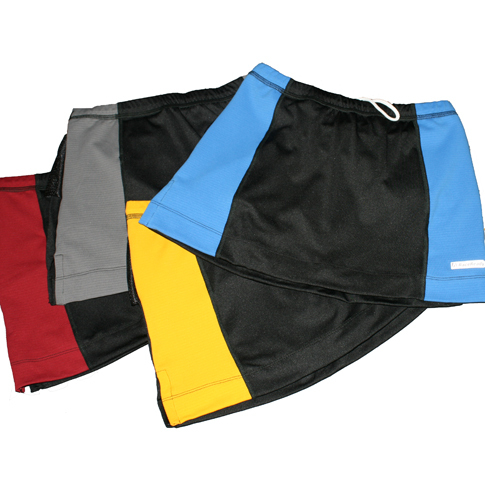 Features a solidly designed under-short made of DRYLINE fabric. Just like popular LD Fitness Shorts, the under-short has a Coolmax-lined gusset that is very comfortable, breathable, and lends great support. The skirt is stretchy and lightweight, providing complete freedom of movement and has a lower waist design. A choice of accent colors gives the skirt a sharp, fun look. The skirt features 5 divided mesh pockets across the back of the skirt so you can go the distance... in style! Inside credit-card size pocket, too.